Made in house daily from traditional Greek recipes. 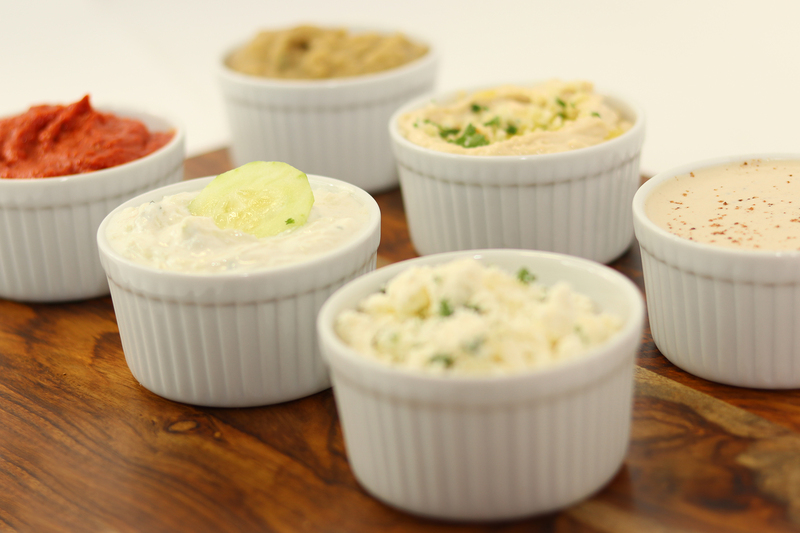 Tzatziki is a sauce served with grilled meats or as a dip. Tzatziki is made of salted strained yogurt or diluted yogurt mixed with cucumbers, garlic, salt, olive oil, sometimes with vinegar or lemon. Hummus is a Levantine dip or spread made from cooked, mashed chickpeas or other beans, blended with tahini, olive oil, lemon juice, salt and garlic. Babaganosh is a mashed cooked eggplant mixed with tahina, olive oil, and various seasonings. Spicy paprika is made from dried red fruits of the larger and sweeter varieties of bell peppers. 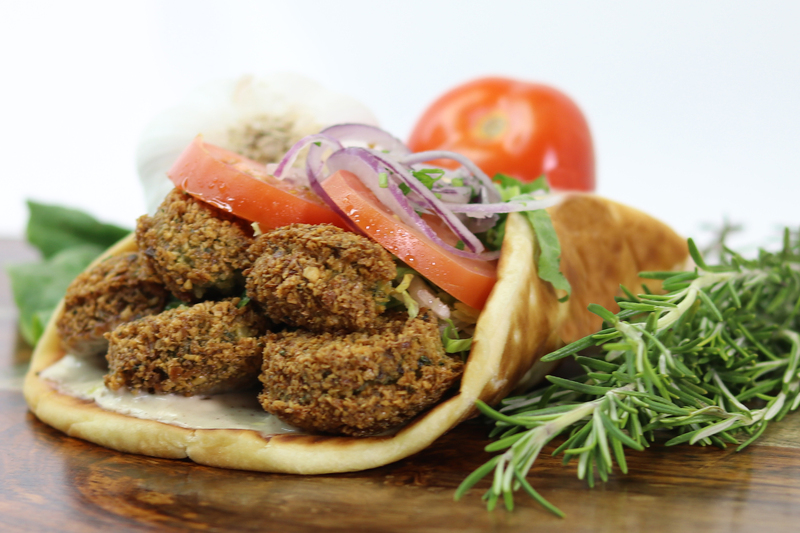 Our Falafel is a deep-fried ball home made from organic garbanzos. The Gyro is topped with home made Tahini, organic romaine, tomatoes, red onions served on freshly made pita bread. Our recipe offers an authentic Mediterranean taste.